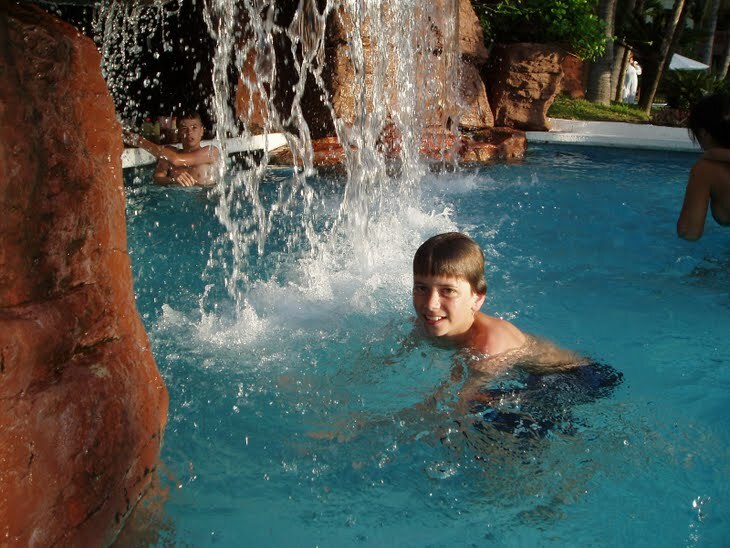 We spent Thanksgiving week in Mazatlan, together with Lonna's parents and her brother and his girlfriend. It was a relaxing time, with body-surfing, swimming, para-sailing, and checking out the local marketplace. The weather was warm, the sunsets were incredible, and we had a great time. We are now really thankful for soft sand, coconut palms, and another opportunity to learn Spanish. Many of these photos demonstrate Luke's photography abilities. 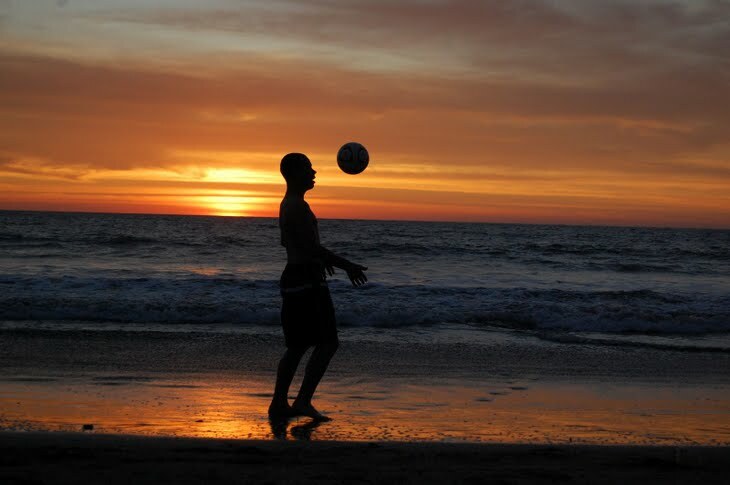 FUTBOL AT SUNSET: Caleb juggles the soccer ball on the beach. 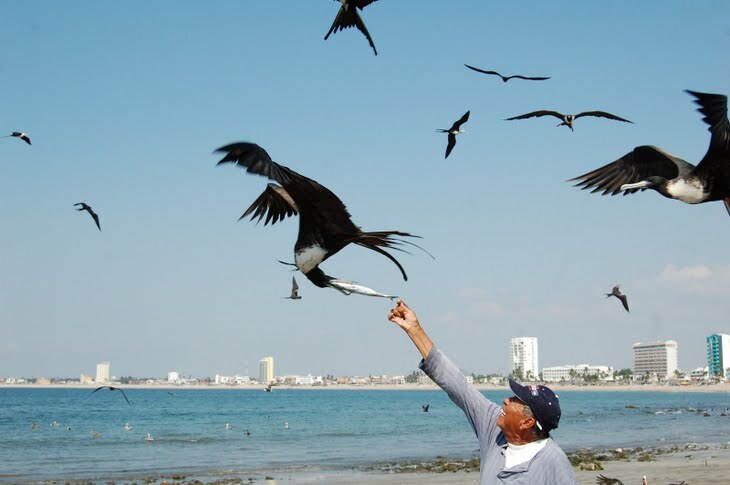 FRIGATEBIRDS AND THE FISHERMEN: These frigatebirds hovered around the fishermen. This guy held up a fish over his head until one bird, with it's seven-foot wingspan, made this spectacular grab. 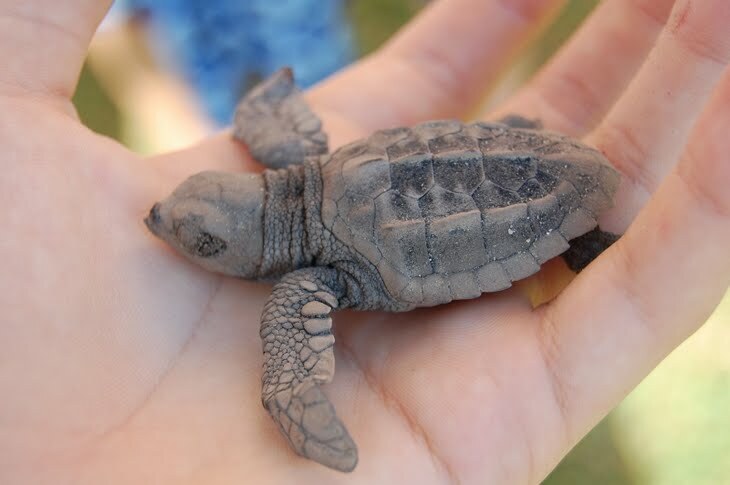 BABY SEA TURTLES: We visited a sea turtle restoration project where we got to release day-old sea turtles back to the ocean. 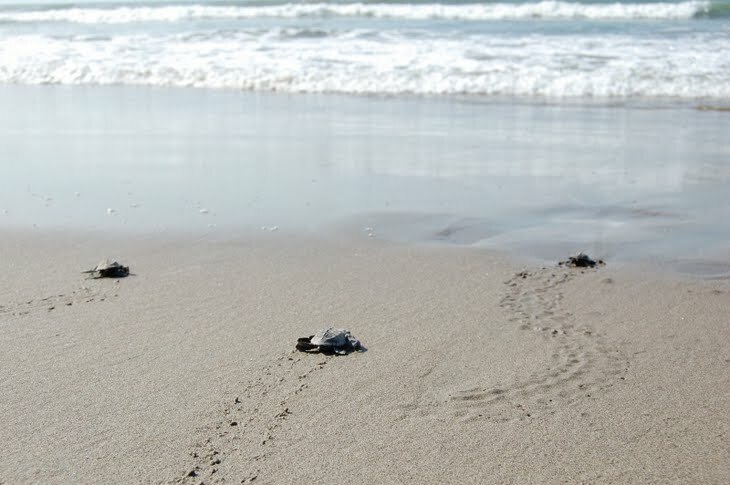 TO THE SEA: These are Olive Ridley Sea-turtles. They'll return to this beach in 15 years to lay eggs. 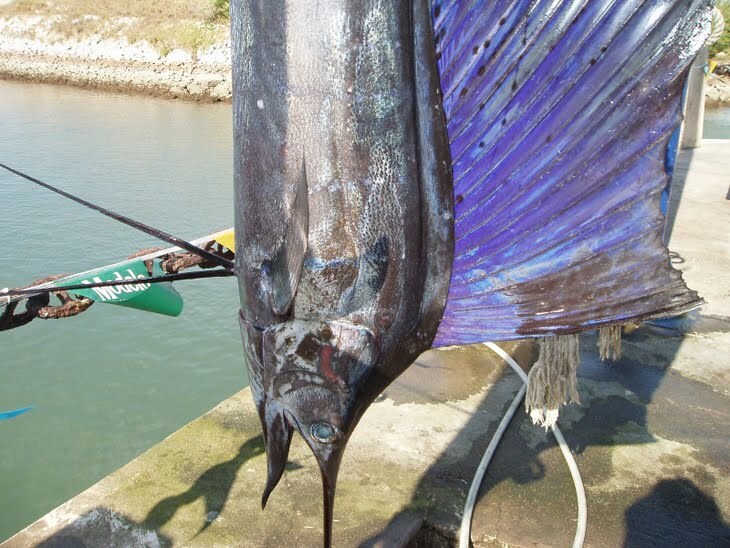 SAILFISH: Mazatlan is the place for catching sailfish. You can avoid sea-sickness by heading down to the dock at 2pm just to take pictures. AT THE SWIM-UP BAR: Bunky and Luke enjoy some Coke in the pool. 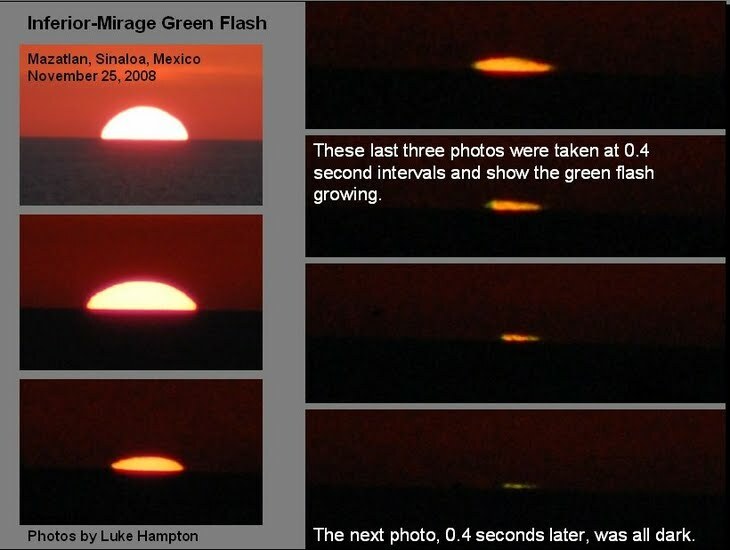 GREEN FLASH: Luke captured the Green Flash one evening. This is a real phenomemon, best seen on clear days over water. 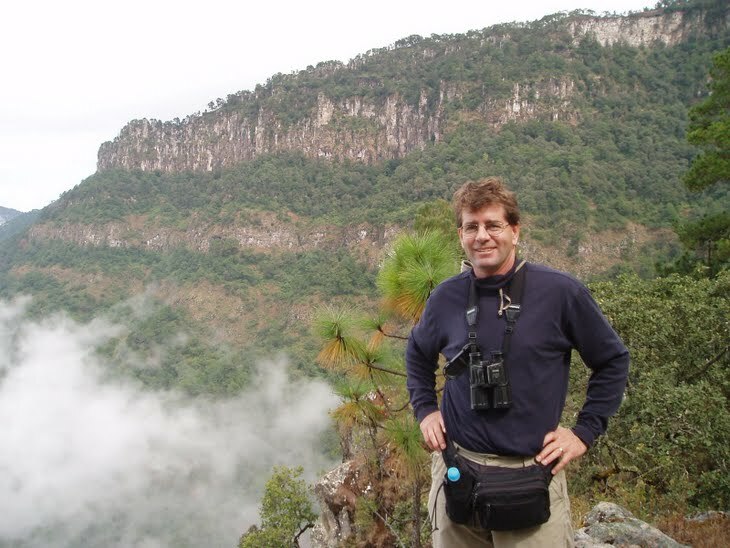 EN LAS MONTANAS: Steve took a two-day birding trip to the mountains, which Mexico has more of than any country in the world. This is at 8,000 feet, above the clouds, and only 45 miles inland. 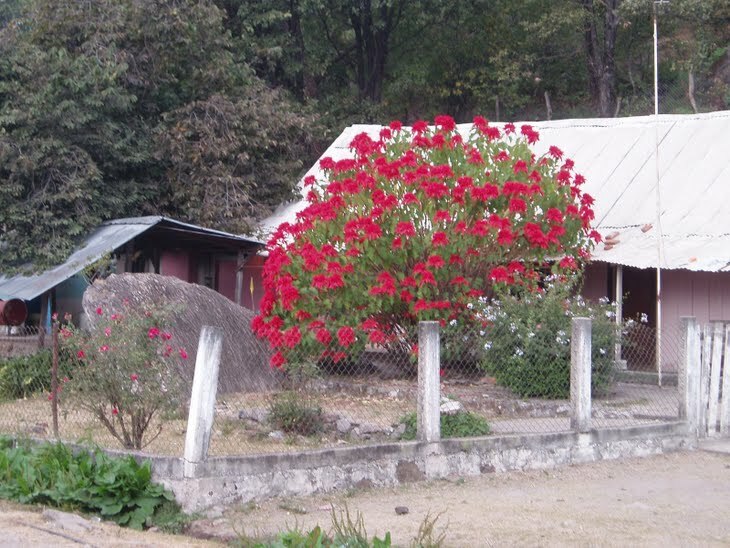 POINSETTIAS IN THE YARD: In the small mountain town of El Palmito, poinsettias were in full bloom. The town is also famous for its local cuisine: gorditas. SIERRA MADRE OCCIDENTAL: The Durango Highway is the only paved road over these mountains for 1,000 miles. 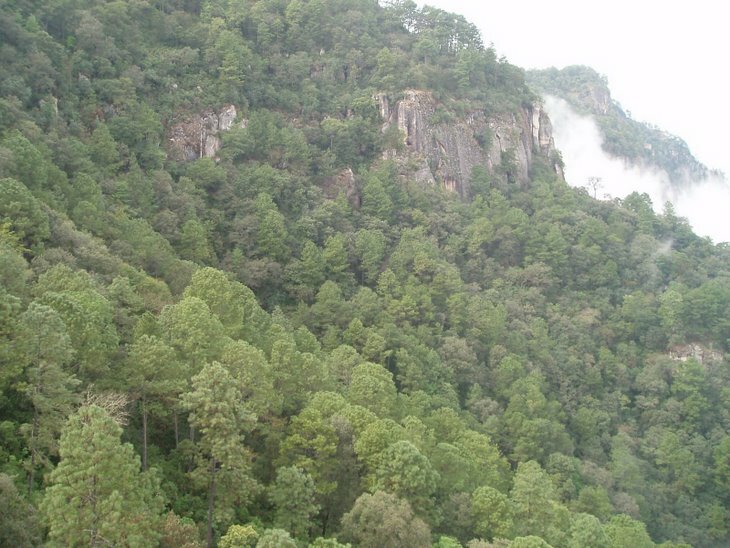 The mountains of Mexico are rich in biodiversity, with over 300 species of pines alone. Steve saw 35 endemic bird species, including the first Thick-billed Parrot in the area since the 1960s. 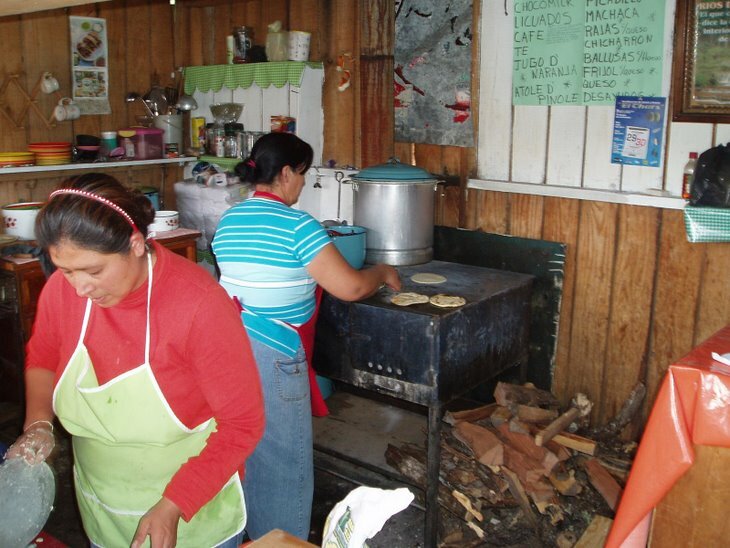 MAKING GORDITAS: Gorditas on the local specialty in these mountains. They are thick maize tortillas that puff up and make a pocket like pita bread, which are then filled with meat or something. My favorite was rayas con queso (green chilis with cheese). All the restaurants and homes in the mountains had wood-burning iron stoves. 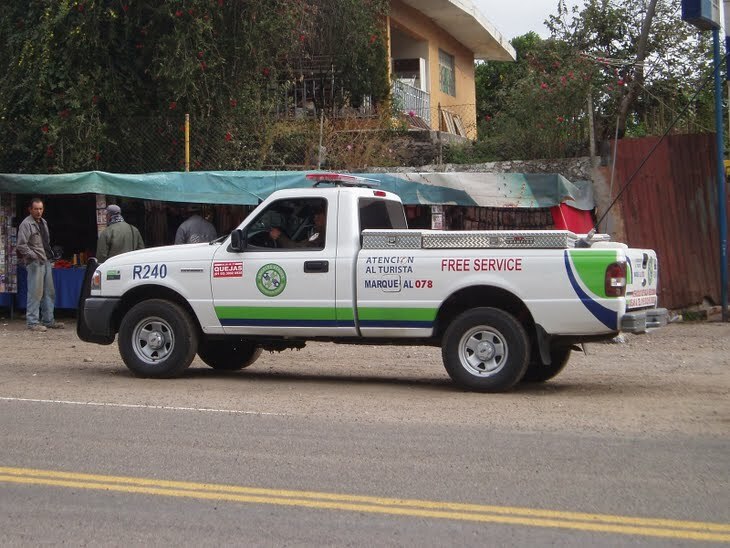 THE GREEN ANGELS: These guys are paid by the government to help stranded motorists. If you have a flat, they insist on changing it. They even carry a gallon of gas to help you get to the next station. WITH THE CELEBRITY AT THE AIRPORT: While we were there, Mazatlan hosted an international marathon and other long-distance events. This woman from Kenya set the world record there a few years back. She won easily this time. 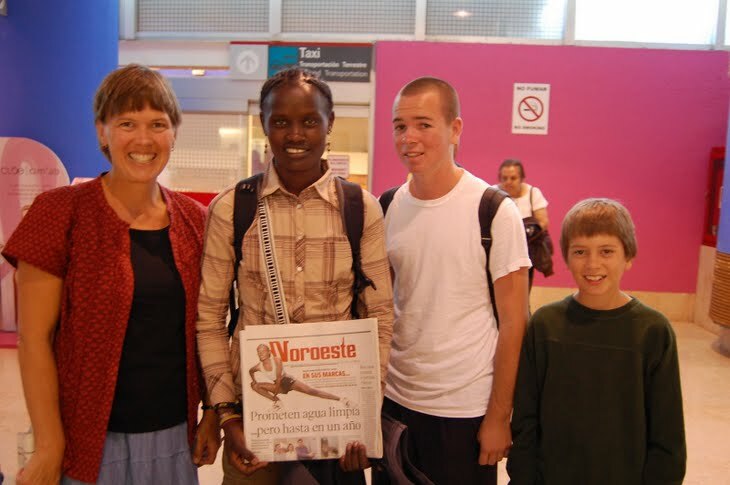 We ran into her at the airport, where we gave her the local paper with a big story about her on the cover. She hadn't seen it yet.